He is considered by many to have been Michael Schumacher's greatest rival in Formula One. 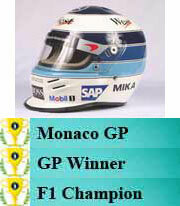 The German has said himself that Häkkinen is the rival he respected the most during his Formula One career. Retired from DTM at the end of 2007 but will remain involved with Mercedes in some form. In 2008 Mika started to work with Aces Management Group, his role will be to find and nurture new driving talents.